Friday Photos: Back to School » Howard Baer, My First Day at School, n.d. 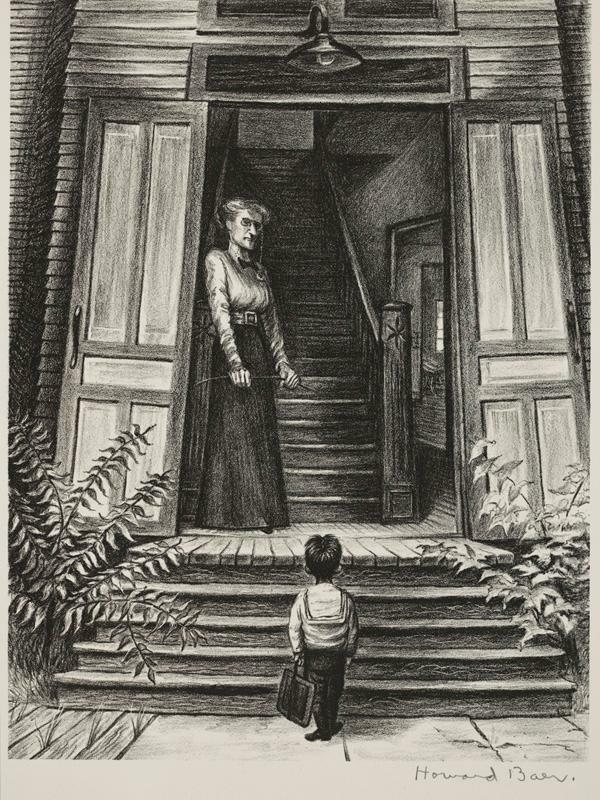 This lithograph articulates the foreboding feeling the first day of school brings. The staircase leads to utter darkness, where anything might await, while the stern face of the mistress offers no comfort or tenderness. By answering the door with switch in hand, she becomes the disciplinarian rather than the nurturer, and clearly shows the consequences for misbehavior.